The Scottish Government’s budget for 2017/18 represents a cut to local government funding that will impact on services, Scottish council leaders have warned. 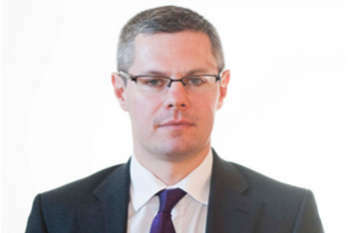 Despite claims from finance secretary Derek Mackay that his draft budget, presented on Thursday, provides ‘£240m of additional spending power to support local government services’, council leaders and opposition interpreted the settlement as a real-terms cut. Cllr David O’Neill, president of the Convention of Scottish Local Authorities (COSLA) said: ‘COSLA can never endorse a reduction to the core local government settlement as announced as part of the budget statement today. The Scottish Labour Party described the settlement as a cut of £327m to local authority budgets. Mr Mackay described said he had ‘published a Budget for growth and public services’, which ‘provides a strong settlement for local government’. In the Budget, Mr Mackay used the Scottish Government’s new income tax powers for the first time to keep the threshold at which 40% income tax rate is payable at £43,430 next year, compared with £45,000 for the rest of the UK. Following the main budget announcement, current transport minister Humza Yousaf announced a £3m package of discounted travel for Scotland’s rail passengers, 'to thank passengers for their patience during the investment and improvement of rail services'. The Minister also announced that monthly and annual rail season ticket holders will benefit from a free week of travel.